For the month of December 2014, these are my favourite cards. 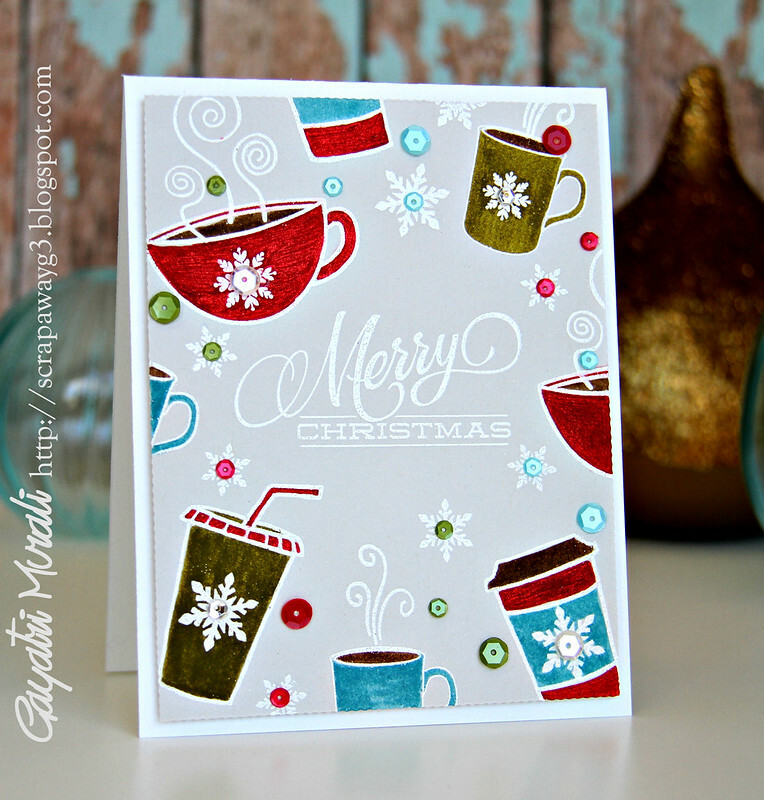 Absolutely love this coffee holiday card for its colours and layout. 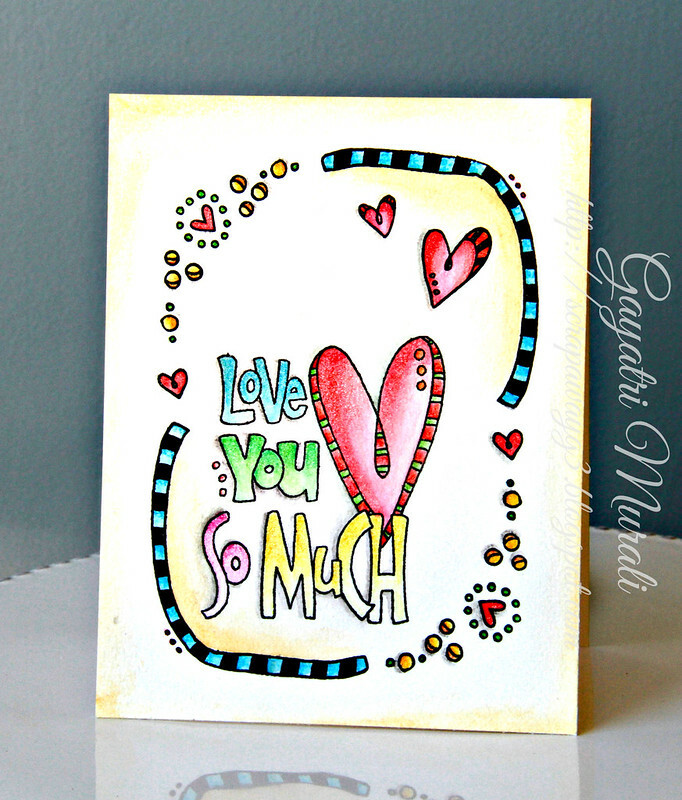 This card is inspired by Debby Hughes. I made it my own by using my trademark bright colours and touch of gold. 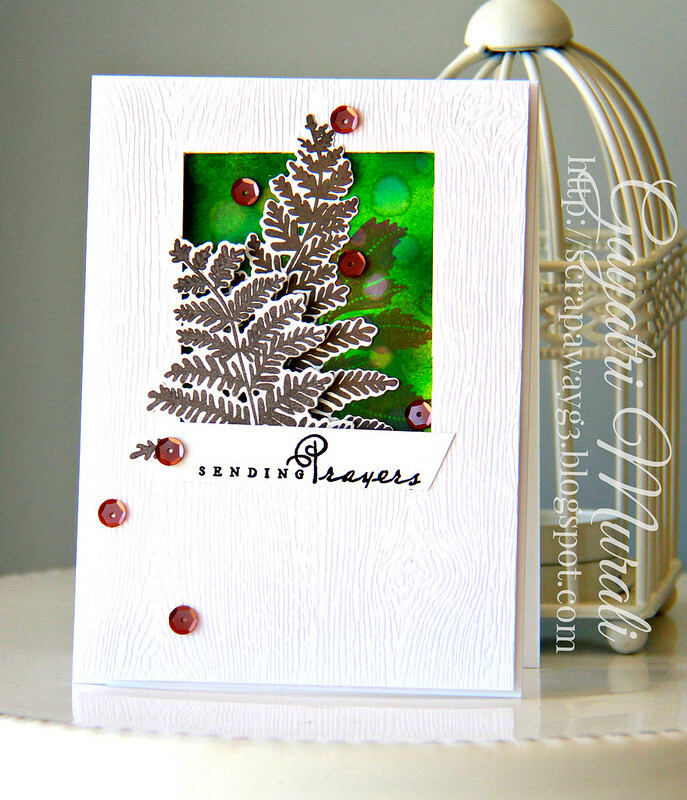 This card using Verve stamps is my favourite for the white embossing and watercolouring. This is one of my favourite Christmas card I made this year. Love the layers and classic colour combination. What can I say? I am in love with card. Everything about this card came together beautifully. LOVE it all. Using Winnie & Walter stamp set. 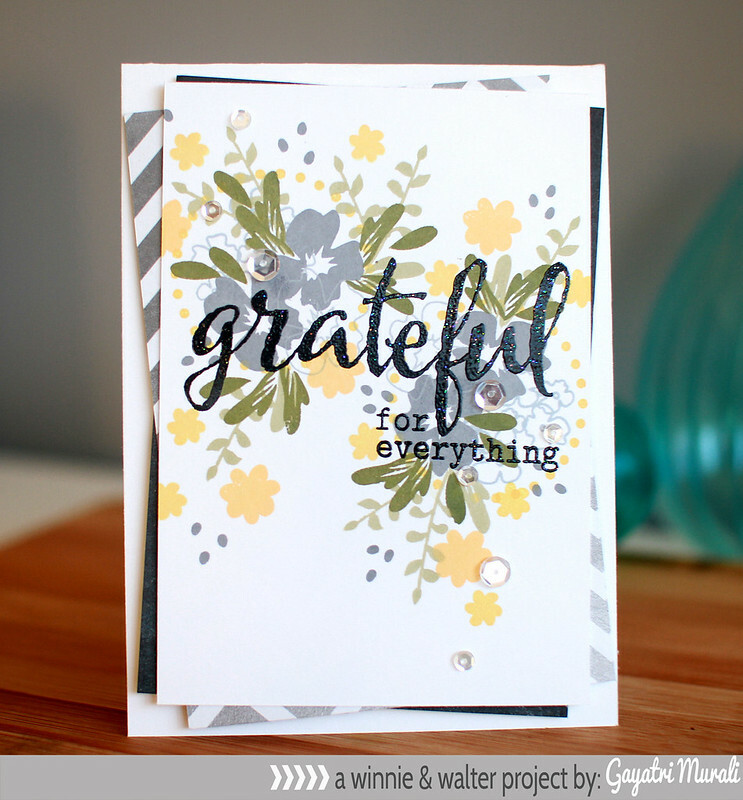 I love the background using stencils and layering of the diecuts. Inspired by Debby Hughes once again. I made this for CASE Study challenge. 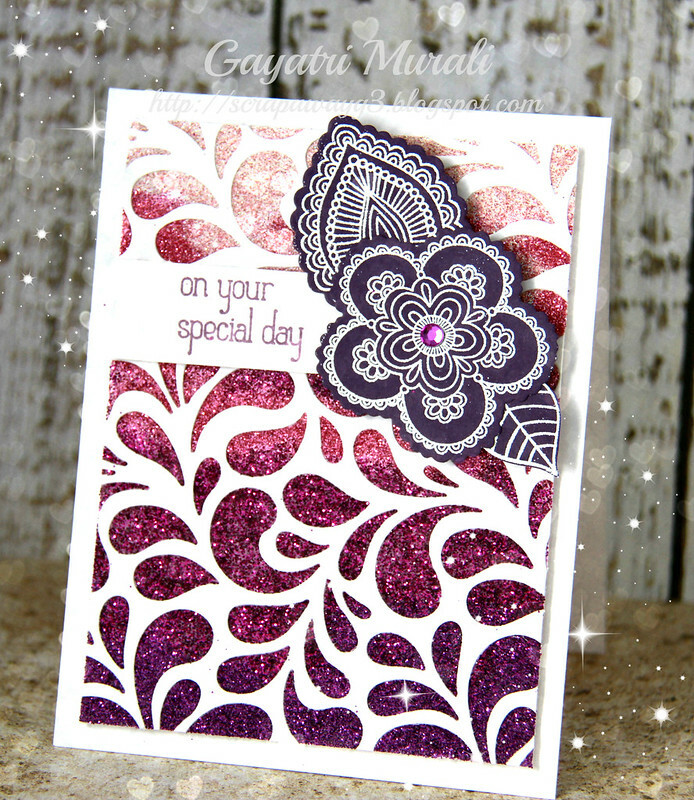 This card is my favourite for its colours and stamping over heat embossed sentiment. Very pretty! 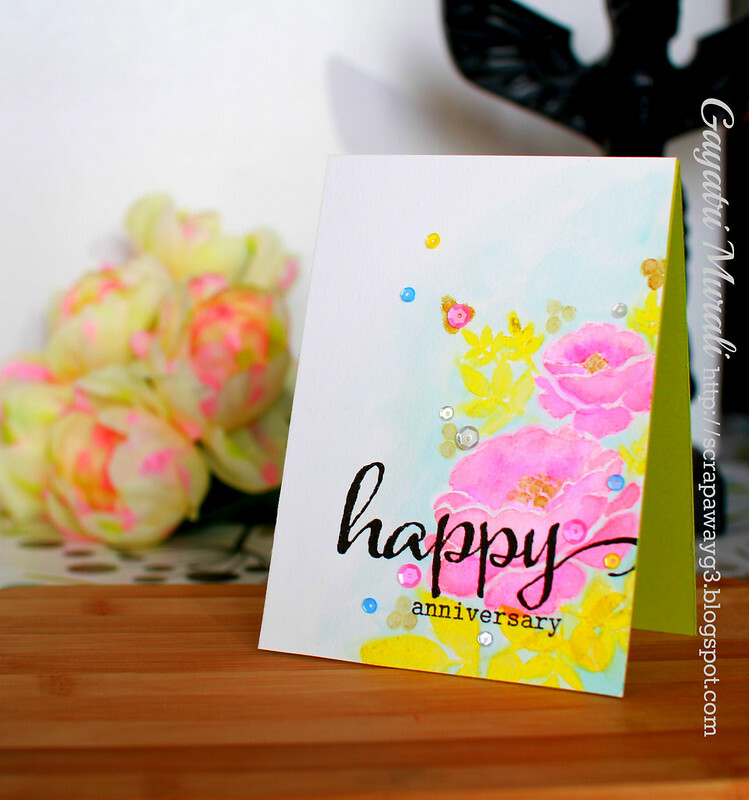 This bright rainbow background using stencil is inspired by Laura Bassen. Right up my ally – Bright colours and bold design. Dearly love this card. 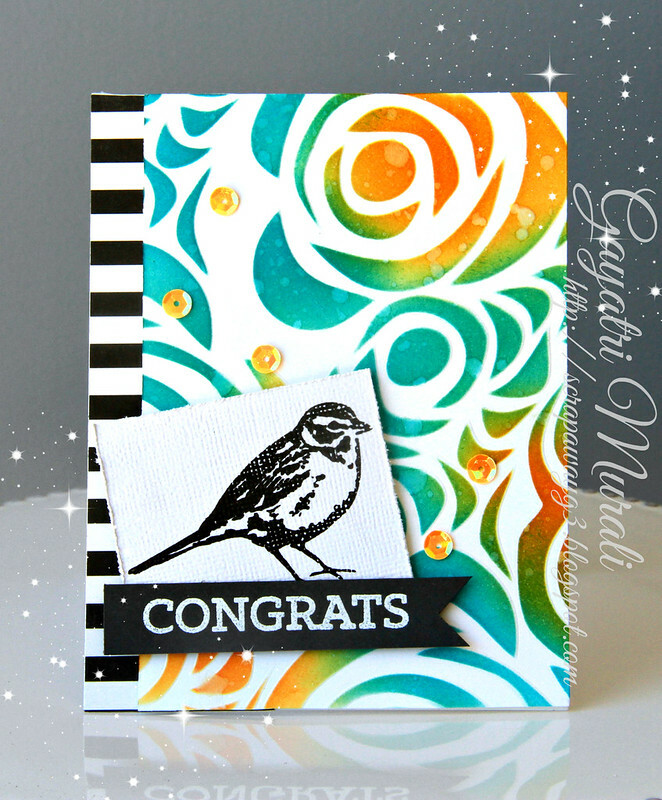 Kraft cardstock + heat embossed image + colouring = Beautiful. Period! This card I love for its white space and pretty colours. 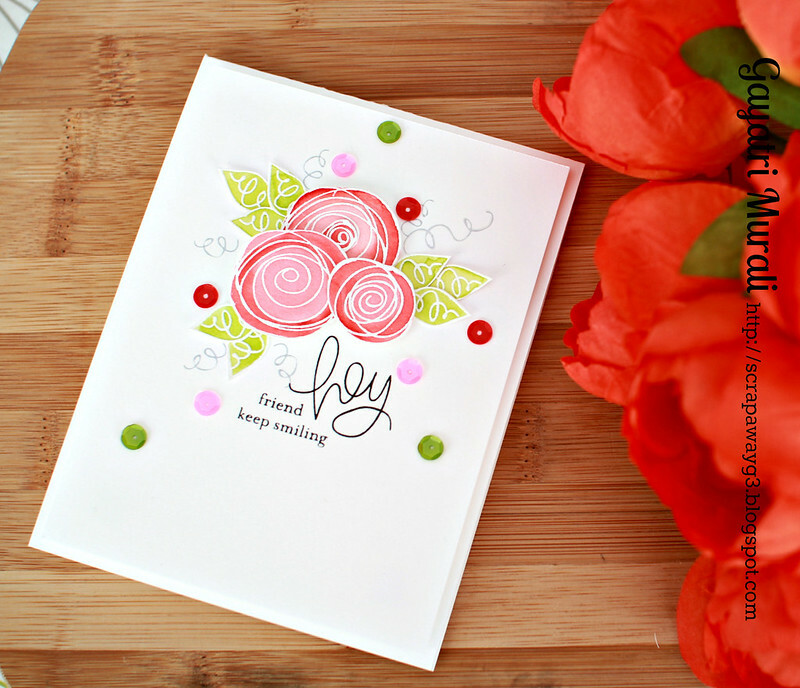 The scribble flowers from Simon Says Stamp is very pretty. 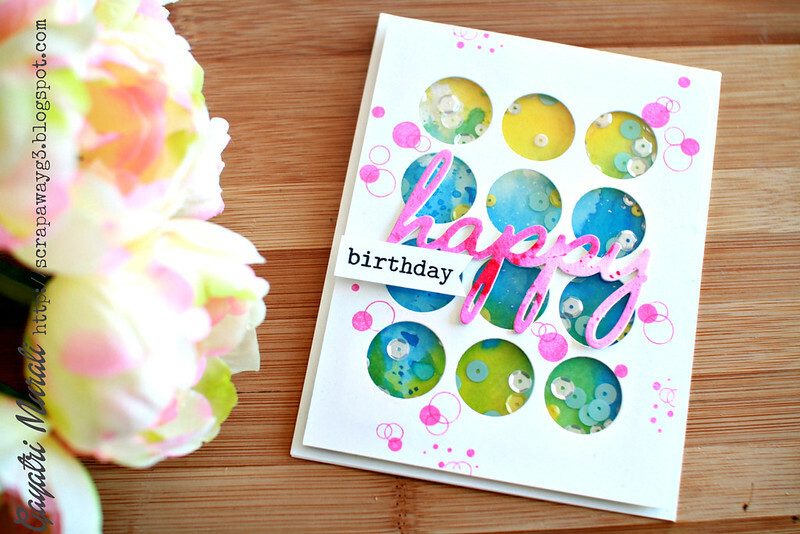 The sequins from Pretty Pink Posh is perfect accent to the watercoloured flowers. I picked this card because there is no stamping in it. Only stickers and sequins. 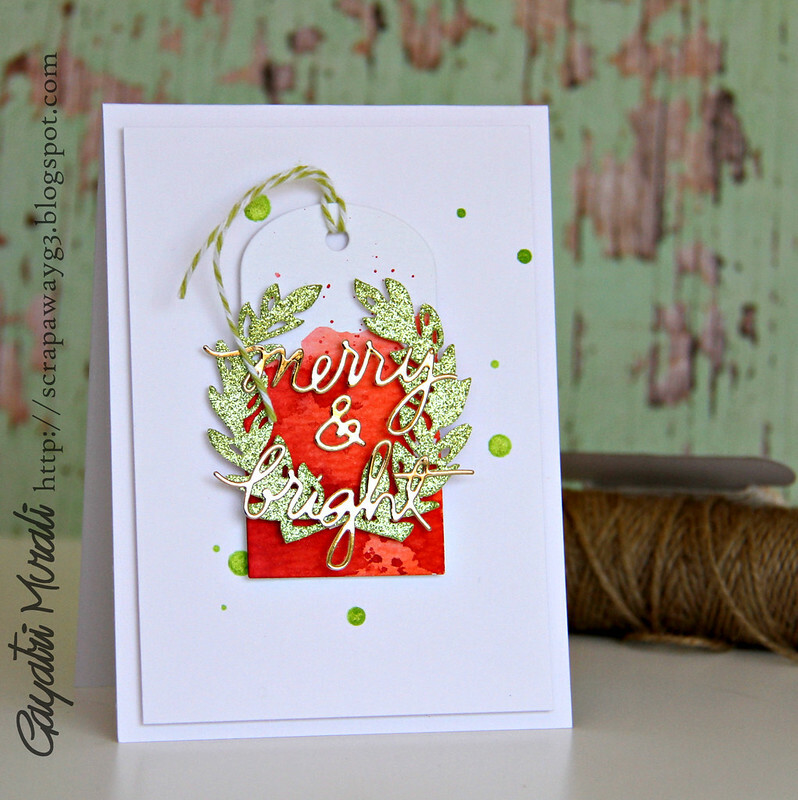 The layout is inspired by Shari Carroll’s card. Love it! 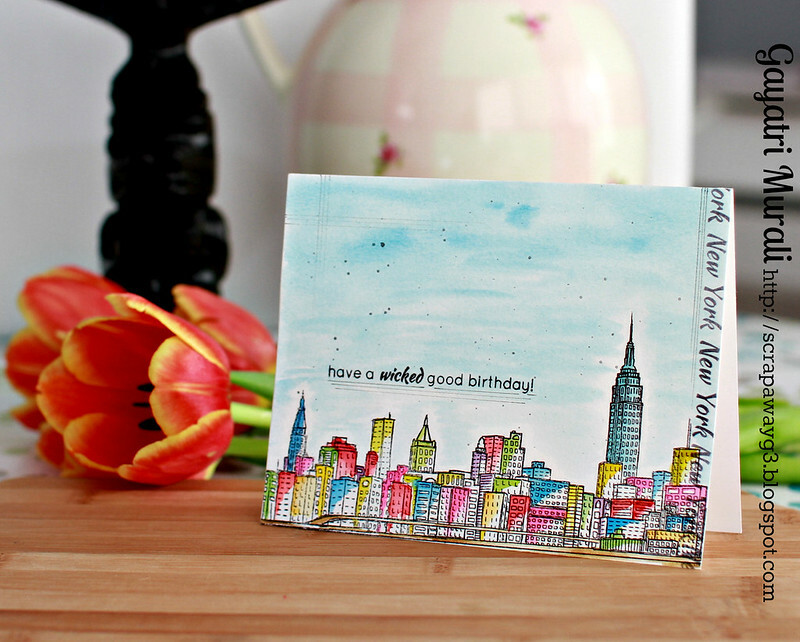 Love this card for Watercoloured stamped image and background with stamping both vertically and horizontally! Using Avery Elle and Winnie & Walter stamp sets. Pretty watercoloured images on the background. No stamping card. Just the use of stickers. Very bright girly card. Just love the layering of the stickers. This card is so pretty! Using Wplus9 stamps and faux watercolouring inspired by Dawn’s video. 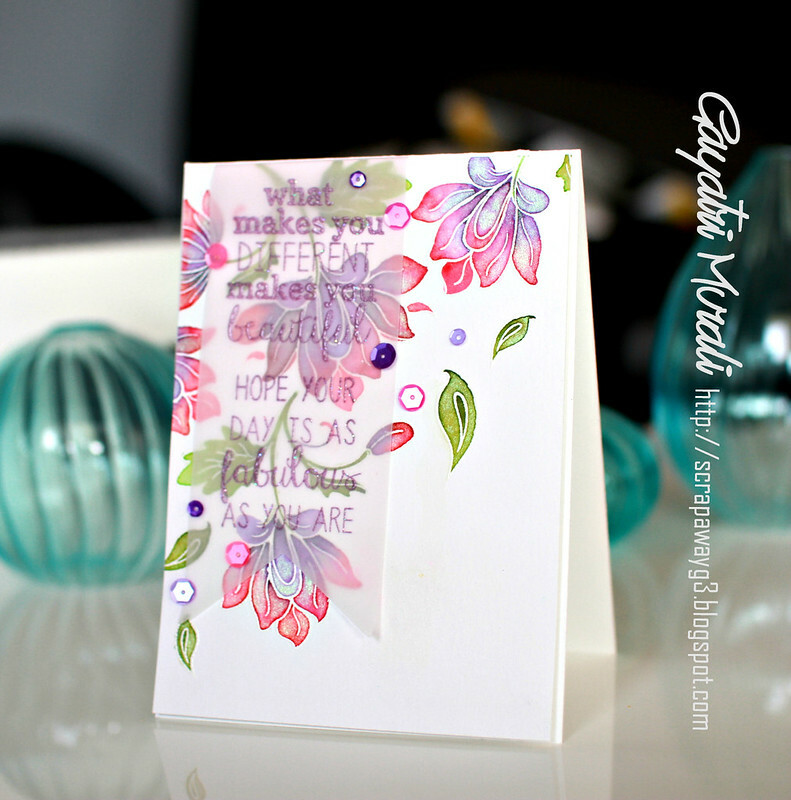 I made this card for CASE Study DT card inspired by Iwona Palamountain’s card. 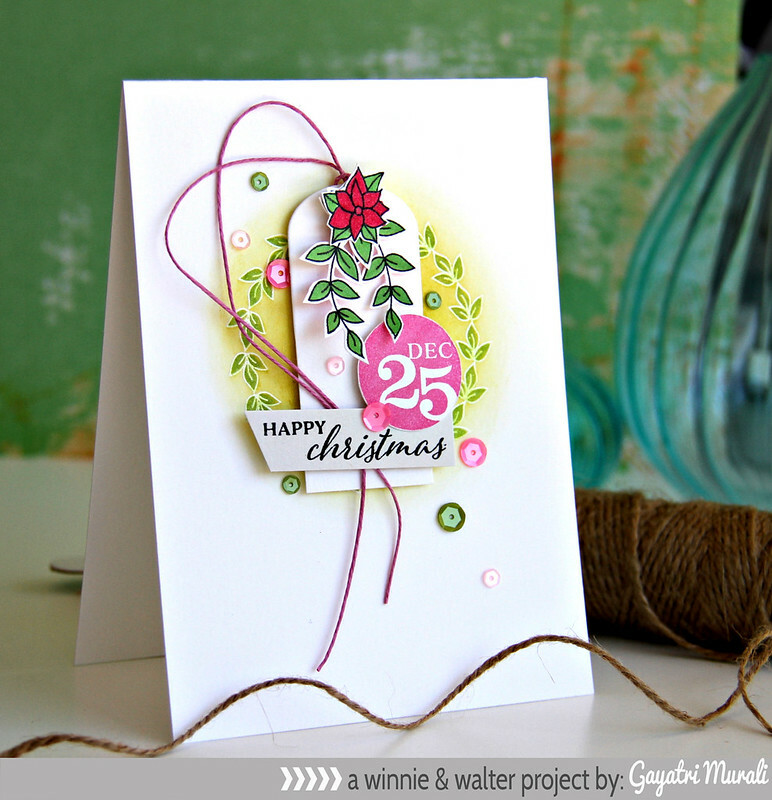 Love the vintage look of the card and the bright colouring. 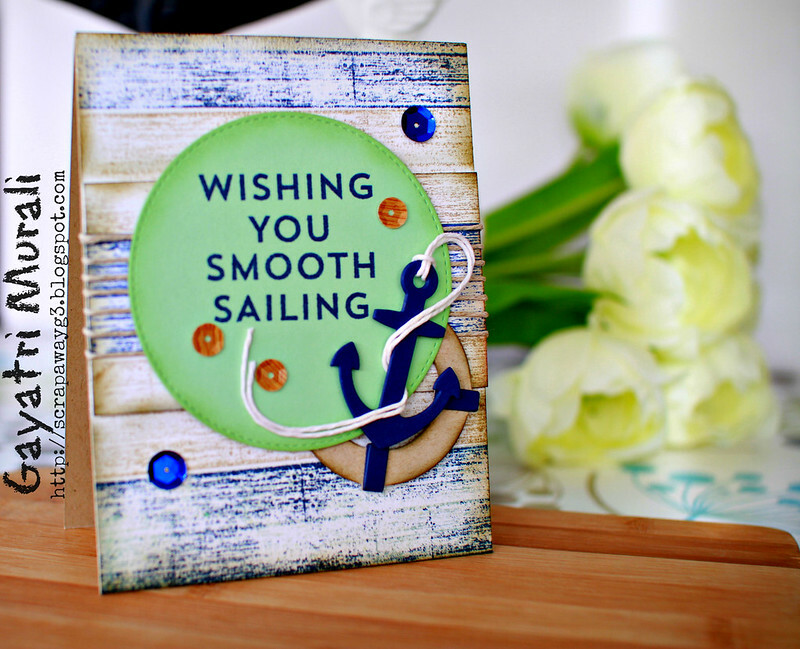 The background of this card is one of my favourite technique – make your own background. 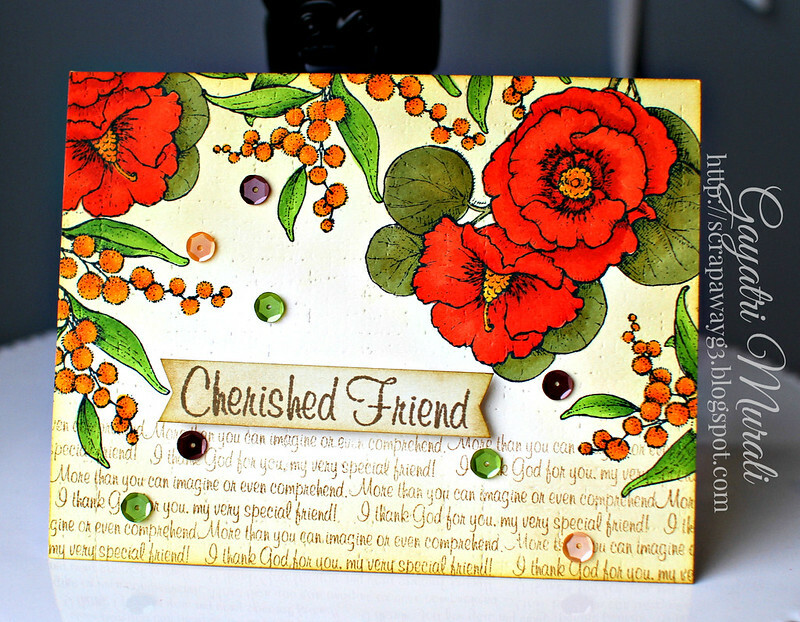 This card is made using Wplus9 stamp set. These cards in March 2014 are my picks to be my favourites. 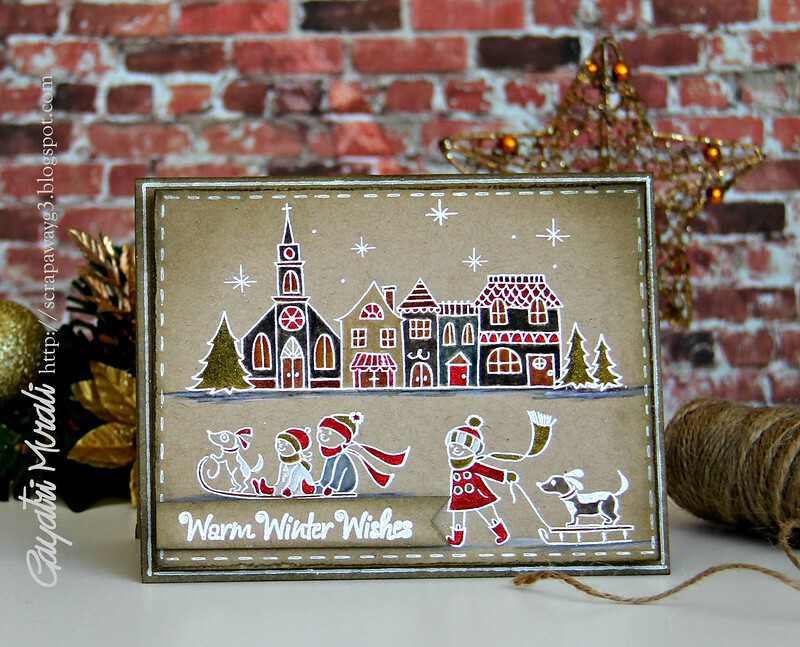 Simply Love the background in the window and texture of the card front. 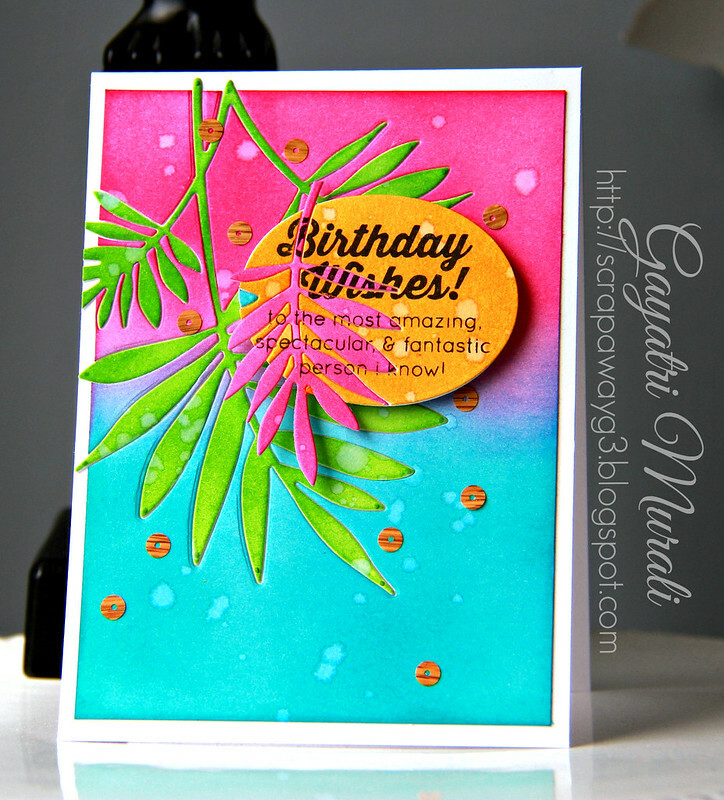 Another bright colourful card using stencils and sponging technique. 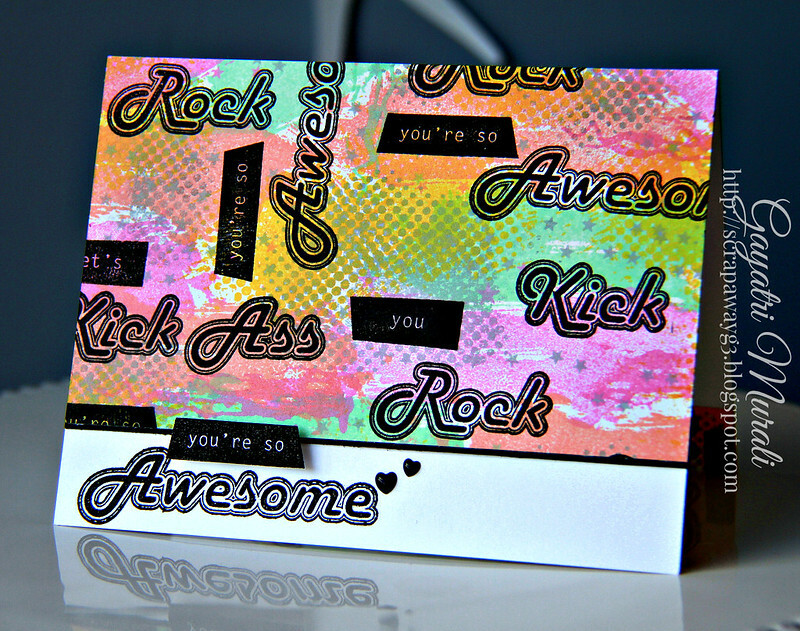 I also love the layering of sponged background, stamped image, wood veneer element and diecut sentiment. Gold started becoming trendy around this time. 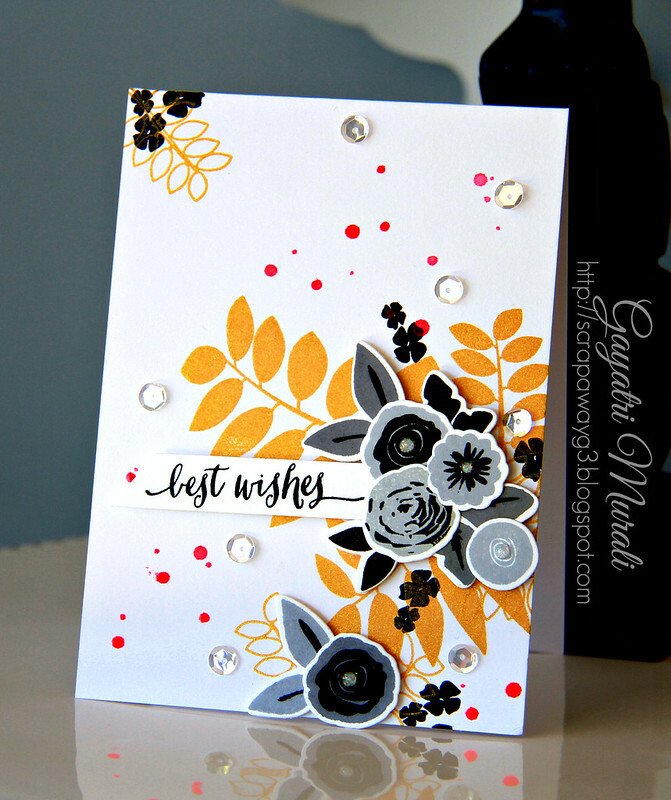 I took the bold step of experimenting stamping leaves in gold and layering with grey and black flowers. Worked well surprisingly! 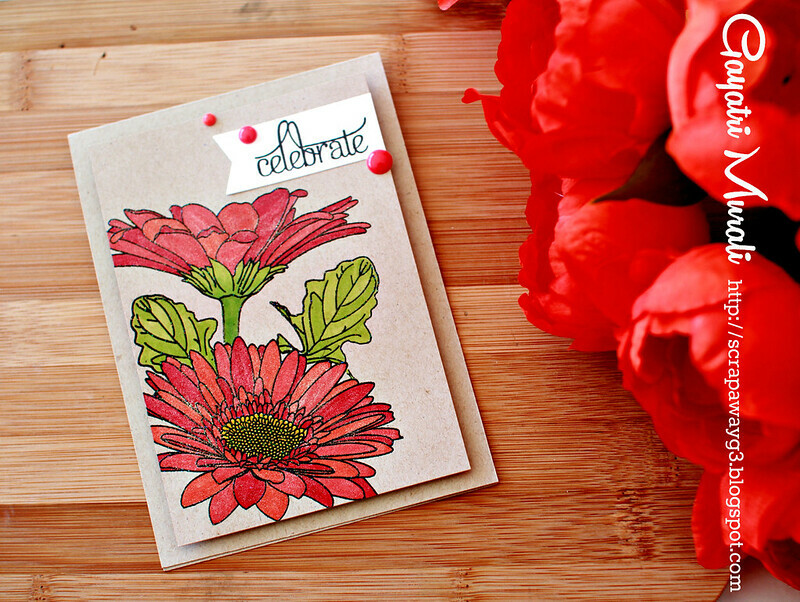 This card is colouring stamped images in bright colours. 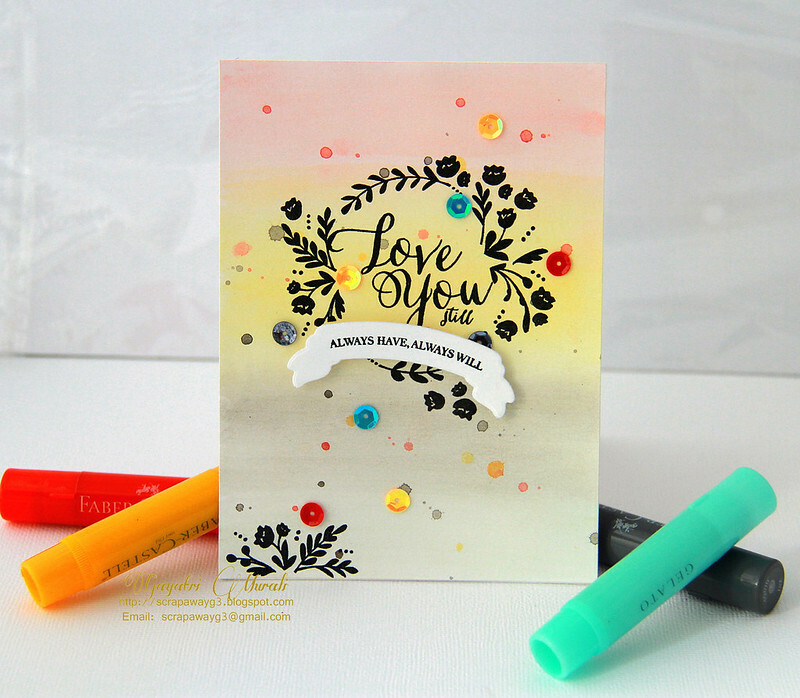 I love this stamp set from Lil’ Inkers. Adding a bit of shimmer on the coloured images was a nice touch. Such an elegant card. 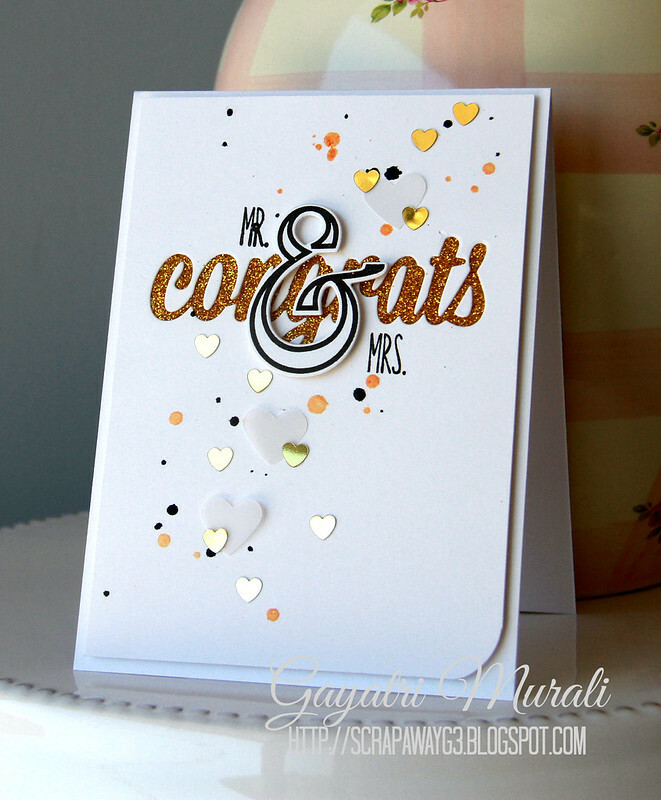 A different using gold by adding gold glitter to the negative of word die cut. Love this card for its class. Sorry I have a lot of favourites in Feburary. This card I made as guest deigner for MFT. I love these doodle sentiment and images. 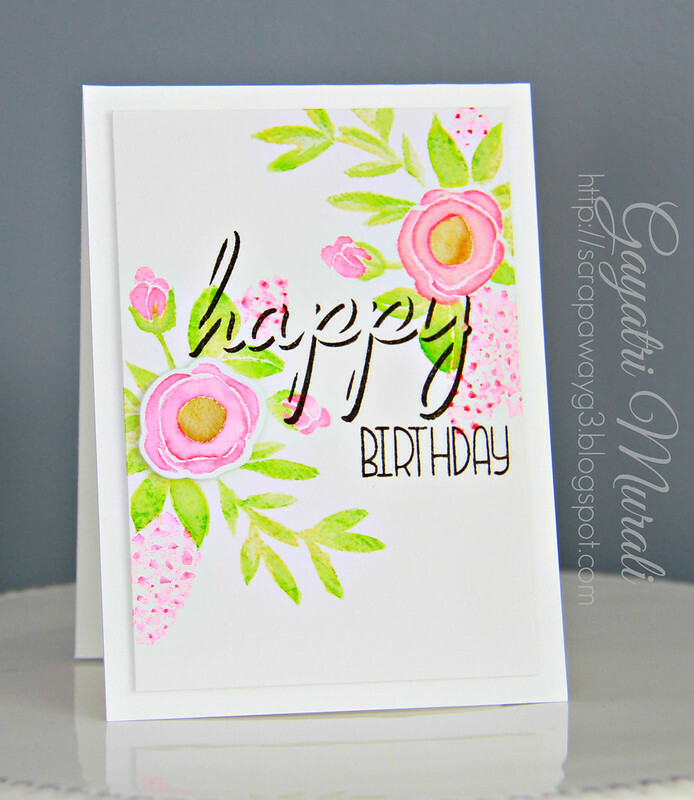 By stamping, colouring and shading with distress inks, this one layer card give so much depth. 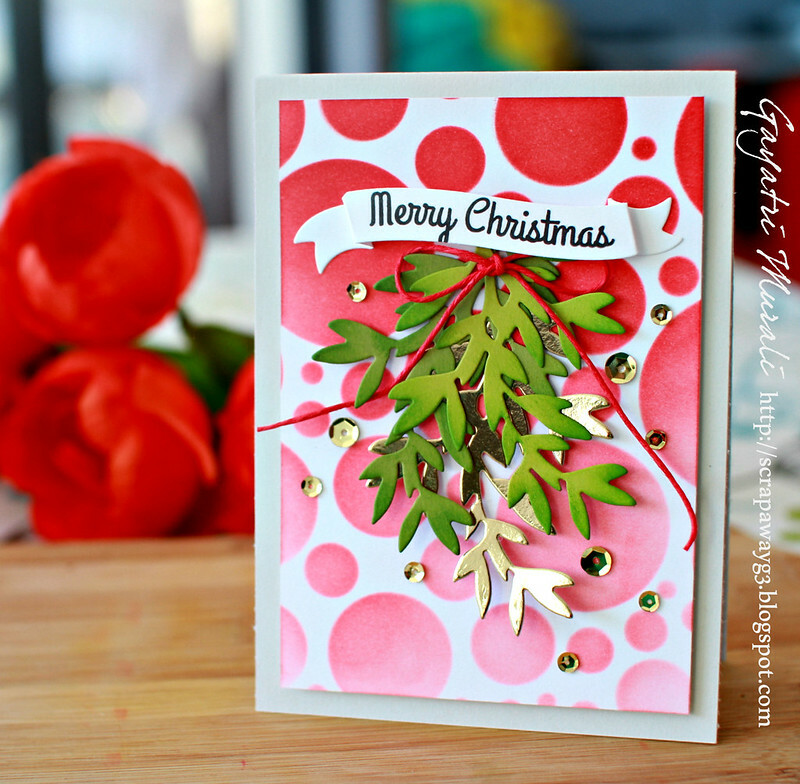 This card is inspired by Julie Ebersole’s video in the stencil class. Embossing the stencil, sponging distress inks and spattering water gives so much depth. Great technique. 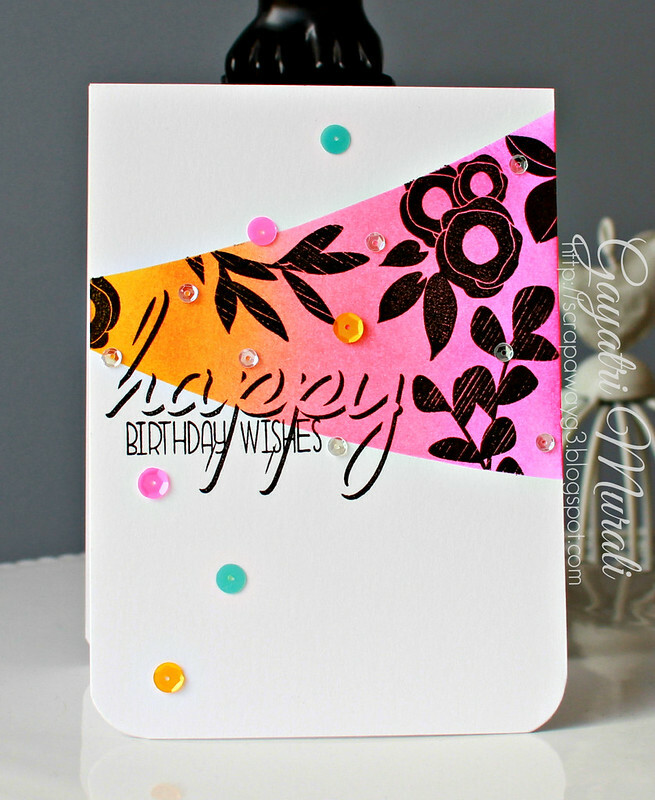 This card is inspired by Jennifer Rzasa. 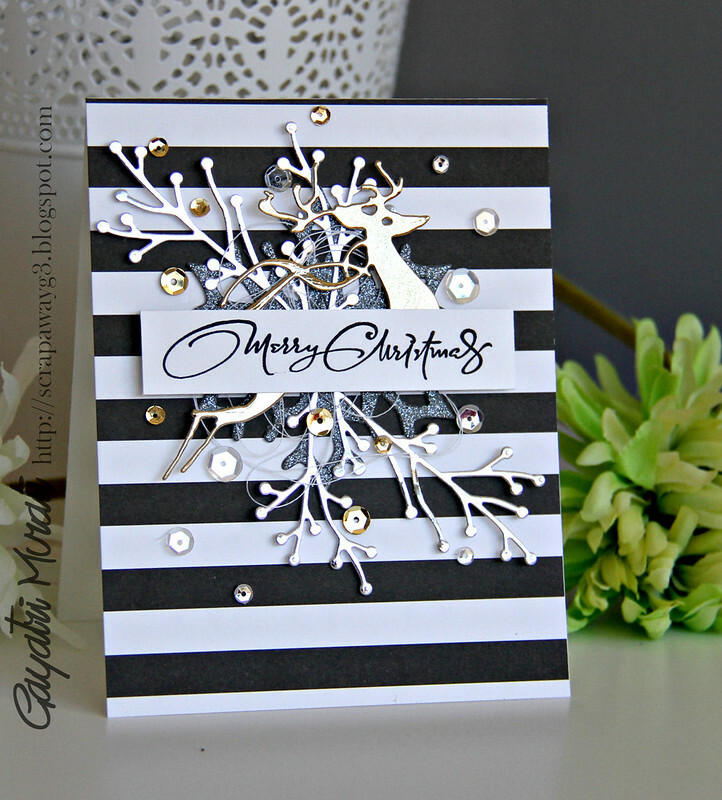 Using negative die cut and ombre glitter. Who does not like glitter? SOOOO pretty! Final card for January 2014 is the first card I published in the year and on the 1st of Jan too 🙂 Love the gelato background and stamping in black. The dainty images from Wplus9 makes the card elegant. So friends, these are my favourites from 2014. There are many more and I love every card I made last year. You can find them all here on my blog. 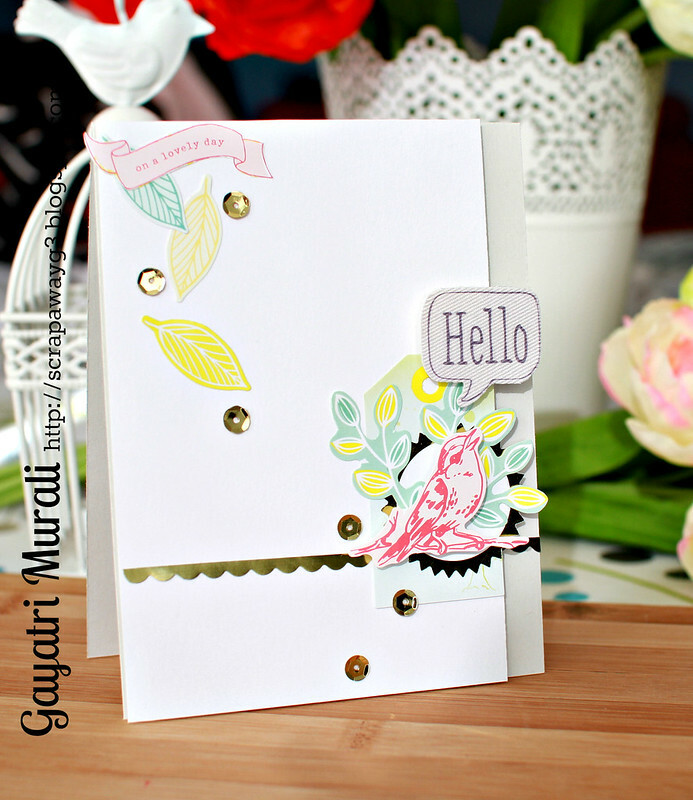 Hope 2015 brings more creativity for me to make more such beautiful card. I love this hobby of mine with passion and I am blessed to have supporting family. you are soooo talented!!! all of these are winners to me! year. All the very best for 2015. Love them all! I am big fan of your work! Wow! You have been a very busy crafter this past year. Love your style. All of these are just gorgeous. New Follower! Oh! What a lovely year in reveiw! I just love them all especially that Penny Black gold foil deer Christmas Card. Must pin them now! Happy New Year! Having never seen a card that you've made that I didn't love, don't know how you managed to narrow them down for this post. My congratulations to you. Your sense of color and style are extraordinary! Thanks for sharing. All the best in the New Year! Such an amazing collection of cards. Love how they really showcase your diversity of styles. Artful, creative and gorgeous! 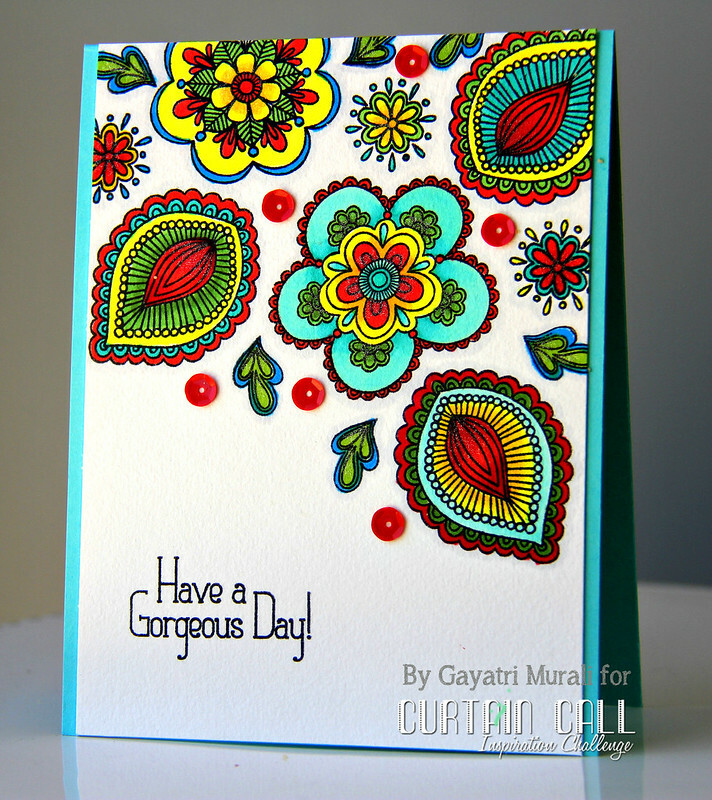 Looking forward to more, Gayatri! Happy 2015! So excited to see a year in review from you!! What a dynamic style you have, Gayatri. 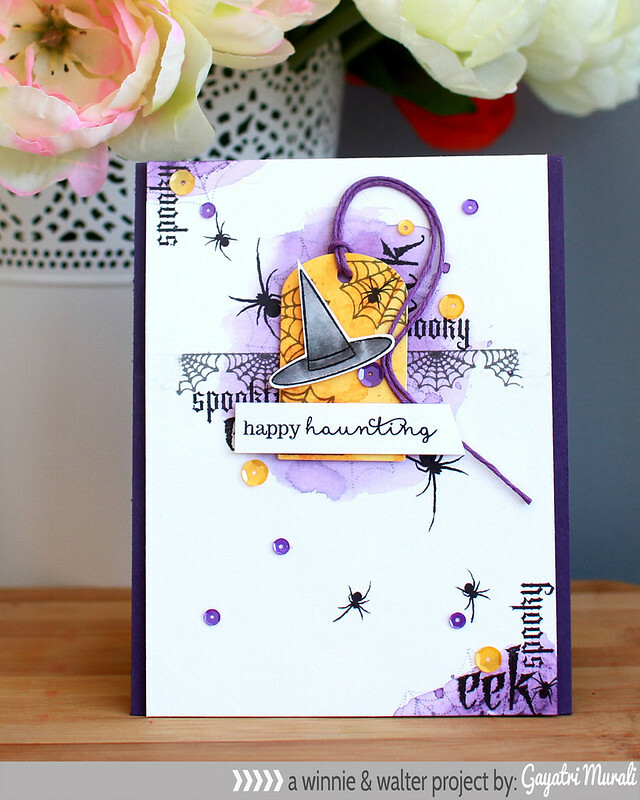 I am madly in love with your freestyle collage cards, especially the w&w Halloween card. It's my goal to try one of those cards in 2015. 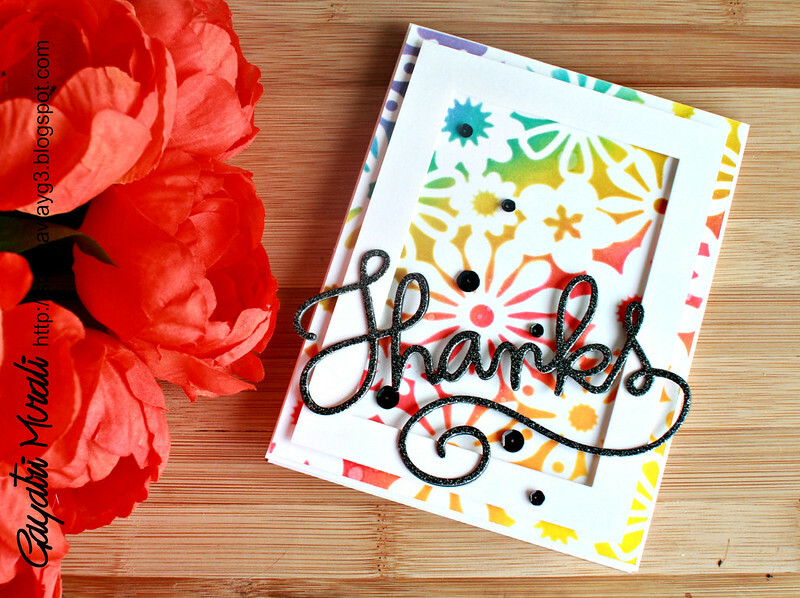 Maybe I'll enter your w&w challenge if I get my act together : ) Wonderful post! I don't know how you chose favorites…all of your cards are stunning! These are all so fabulous! I just love your style!